Sometimes, life is not what it is made out to be like in the movies. Though dream weddings can exist, in many cases, marriages can sometimes come to an end over time. There is a misconception about divorce that it must be messy and expensive, which it can be if you don’t follow the right tips to making it a smooth process. Although it can be hard to let go, people are beginning to see divorce as an opportunity to find a better life. When you have children, the process can become an infinitely more difficult one, where it is not just you and your spouse’s feelings at stake. Before you make such a life changing decision, make sure you consider some key points. For many reasons, people think that when you enter into a marriage, it is going to be an easy ride. This means that when there are dips in the time they have together, they can start to think the end is near when it might not be. 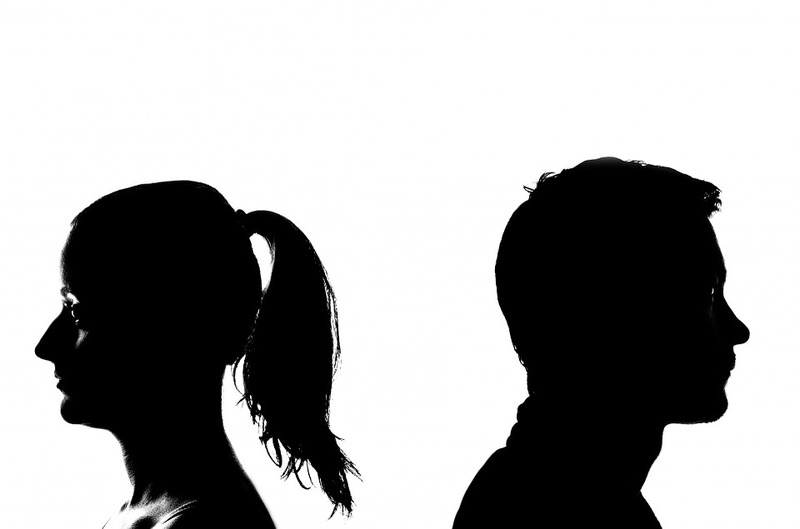 Though it is true that divorce is sometimes the best option, it is imperative to note that it is not the only one. For example, there are many marriage counsellors you can see if you are committed to saving your marriage, but there are also times when you might see improvements after a rough patch. If your marriage hasn’t improved after you feel like you have exhausted the options, then you can think about whether divorce is the right path for you. When you have separated from a spouse, it is one of the hardest times in a person’s life. Despite this, many parents feel as though they don’t have time to process their feelings when there are other people who will be feeling the effects of the divorce, such as children. However, making it so you have no time to grieve may feel like a welcome distraction at first, but it will likely hinder your chances of moving on effectively from the situation. It will be hard, but remember to give yourself time to grieve over your old life, so that you will be able to see your new one emerging on the horizon. What puts people off about divorce is that it can sometimes be a lengthy process, which makes it harder for every person involved. It may feel as though you can’t let go quickly but holding on longer will make it even harder in the long run to accept what is happening. It is worth remembering that divorces can happen amicably despite the circumstances, which will make it easier to co-parent when you are separated but will also mean that any assets are split quickly and fairly. There are also financial reasons why you should act quickly when getting a divorce. Hiring a legal team can sometimes cost more than your wedding might have, especially if there are some financial disagreements that are tricky to work through. Not only this, but any joint savings you have may be compromised during the process. It is unlikely that you will be able to split your assets down the middle, which is why it is always a good idea before you commit to someone to sign a pre-nuptial agreement, so that in the off-chance divorce comes about, you are not left without any money after. One of the best ways to save money during a divorce is by hiring the best divorce lawyer at a reasonable cost, and who has a proven track record. This is key, as there are many lawyers out there who will only be thinking about the money they can make during the hard times of separating spouses. If you research effectively, weigh up your budget, and go in wanting a speedy process, then you will be able to find one that suits you. In all cases, this lawyer must have your kids’ lives at heart throughout the process, as they will become a big part of the divorce agreement you come to. Putting your kids first is something that people forget about when getting a divorce, due to the stressful situations that can arise when you are separating from someone. This usually means that your kids get caught in the crossfire between two arguing parents, which can unfortunately lead to a host of problems later in life. For example, mental health issues can affect them more, and there are some children who will start to feel abandonment complexes if one of their parents decides to leave the family entirely. If there is one piece of advice you should always take before getting a divorce, it is that your kids can escape the process relatively unscathed if you out them first at all times. There will be times in your divorce when you are not able to be your strong self for your kids, especially when you are giving yourself time to grieve. In these cases, you should consider whether hiring a children’s therapist is a good idea, where your kids can learn to articulate how the divorce has made them feel, but also where they can speak to somebody as an outlet for some confusing emotions. This may seem like a big cost in the short term, buy our children will reap the benefits in the years to come. Even if you can avoid bringing your friends and family into the middle, that doesn’t mean you should cut off your support network. This will be a difficult time for everyone involved, which means you will need emotional support to keep you going strong. Asking siblings, friends, and parents to be there for you is always a good place to start, as they can supply a shoulder for you to cry on in your time of need. Despite this, they could be dealing with some other commitments that make it harder for them to be there for you as much as they can. When your support network can’t be there for you as much as you need, then you should consider seeking professional help. This means you can learn how to deal with the process in a calm and collected way, while still enabling yourself to have a space to grieve in. Therapists are not only there to talk issues over, but to equip you with some valuable advice that you should take. Such advice will help you move onto the next stage in your life with fresh, new eyes, and with hope rather than dread. It will also stop any emerging mental health issues in their tracks. Ultimately, you should never be forced to stay in a marriage that is making you unhappy. While there are other people to consider, you can’t live your life for what they want you to do, as you will find yourself unhappier for a longer stretch of time. During a divorce, it can be easy to put it off for this reason. It will be hard, but if you take the leap to do something that makes you happy, you should not feel guilty about divorcing who isn’t right for you. At the same time, there are some people who put their own needs above everyone else’s, which can come at the cost of other people’s emotions. It is easy to assume that putting yourself first means being selfish, but this is not the case. For example, you may wish to start seeing other people, but you can hold off from this until after the divorce is finalized, or you will be making your chances of having a fair and amicable divorce slim. At the end of the day, your kids should be at the heart of this process, but if you know what is best for you, then this should be what is best for your kids, too. Going on a rebound is one of the first things people do after they have split from someone they have been dating for a long time. Although this can be fun, it is easy to get caught up with excitement and make careless decisions. The key here is to learn how to spend time being happy by yourself, which will make you stronger in the long run. It will also put you in a better headspace, so that the next time you meet someone, you can have a better relationship than your previous one.